I have been a Phoenix Police Officer since 1982, an elected PLEA Board Member since 1995 and PLEA Treasurer for the past 8 years. I am also the Treasurer for the Tuition Assistance for Police Survivors (TAPS) program. I have served on the City of Phoenix Healthcare Task Force and Deferred Compensation Boards since 1998. Understanding the intricacies of these two important post retirement benefits is what enables me to assist you in your complete retirement planning. While working in my capacity as a PLEA Board member, Treasurer and Chief Negotiater, I have represented countless members with retirement issues, including attending and assisting in case preparation with disability applicants. The duty of a pension board member is to carry out the issuance of PSPRS pensions in accordance with state law and educate PSPRS members. Pension Board members do not make financial investment decisions, which is the duty of the fund managers. Making pension decisions contrary to law for any one individual is inappropriate and not in the best interest of the system. Furthermore, I have concerns with the denial of medical retirements to line level police officers with regards to what constitutes the determination of “reasonable range of duties.” On a final note, an integrated educational program of all retirement benefits is an essential task of police pension board members. Attached are PLEA Recap articles illustrative of some of my representation of police officers in dealing with Phoenix Police Pension Board issues. 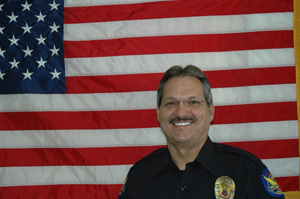 It would be an honor to serve you on the Phoenix Police Pension Board and I am asking for your vote Thank You! 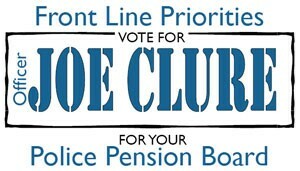 CLICK HERE to read an article authored by Joe Clure in Feb. 2007 on Disability pensions and DROP. CLICK HERE to read an article authored by Joe Clure in March 2007 on Disability pensions and DROP Outcome.